This is a short video on the effects of chiropractic care that was put out by the International Chiropractic Pediatric Association (ICPA). 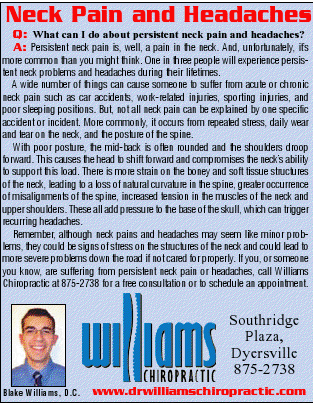 Dr. Rosen talks about the important role that the nervous system has and how chiropractic works with that system. Basically stating that how we as chiropractors don't have the goal of curing patients of diseases or treating symptoms but instead removing the imbalances and interferences that are on the nervous system that the body can't correct itself. This allows the nervous system to work at its full potential and impact other problems the body might be experiencing (Dr. Rosen uses the example of children with ADHD). 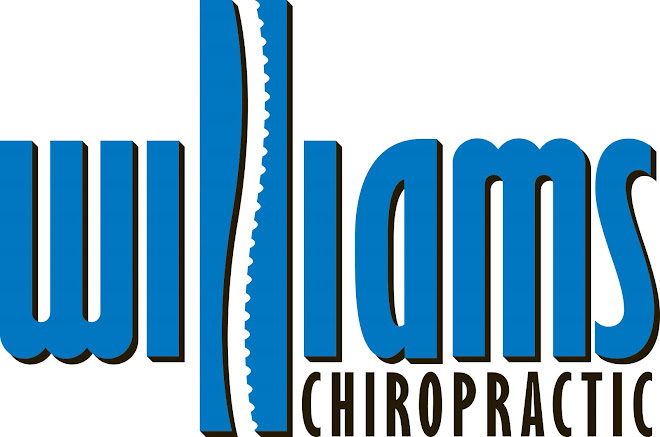 Another topic in the video answers a question that most chiropractic patients have, which is how and why do subluxations (spinal misalignments) occur? Dr. Rosen answers that question and links many of the spinal issues we have as adults with thing that happen to us as children. Here is an early look at the upcoming Ask the Professional in the Eastern Iowa Shopper. I have not been using this blog or our facebook page much as of late. I am hoping to change all that in the coming days. To get things started I would like to share this video with all of you. It is perfect for any of you that still have football on the brain even after the season officially ended this last weekend. Enjoy!